This 1939 Ford Series 91D 3/4 to 1 ton flatbed is a fairly complete Montana farm truck ready to be restored or customized. This is the same body as a half ton pickup on a heavier frame and suspension. The body has dry and solid sheet metal. The grill, grill surround and lower center panel are damaged. Both front fenders are dented and there is a tear at the top front of the left wheel well. The left headlight assembly and trim are missing. The left motor side panel is loose at the back and the right hood latch is missing. The front bumper is not correct. The rear window has an add-on protection screen. 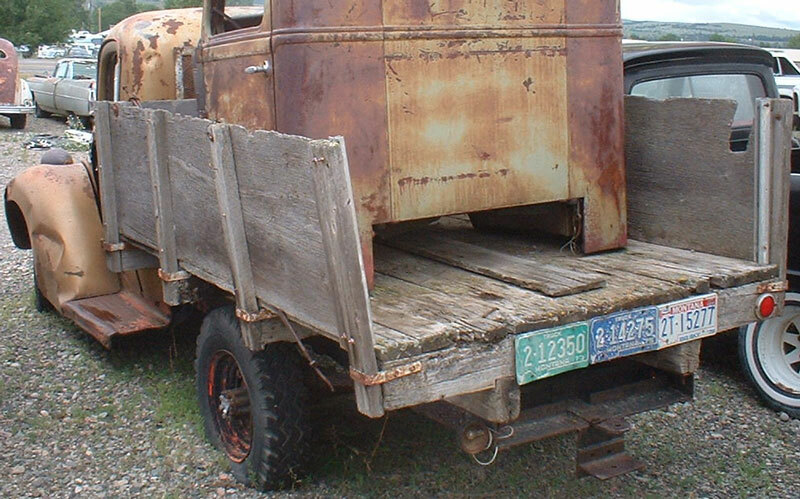 The truck has a home-made wood flatbed and shop-made tow bar. The stock interior is mostly all there. The horn button is missing. 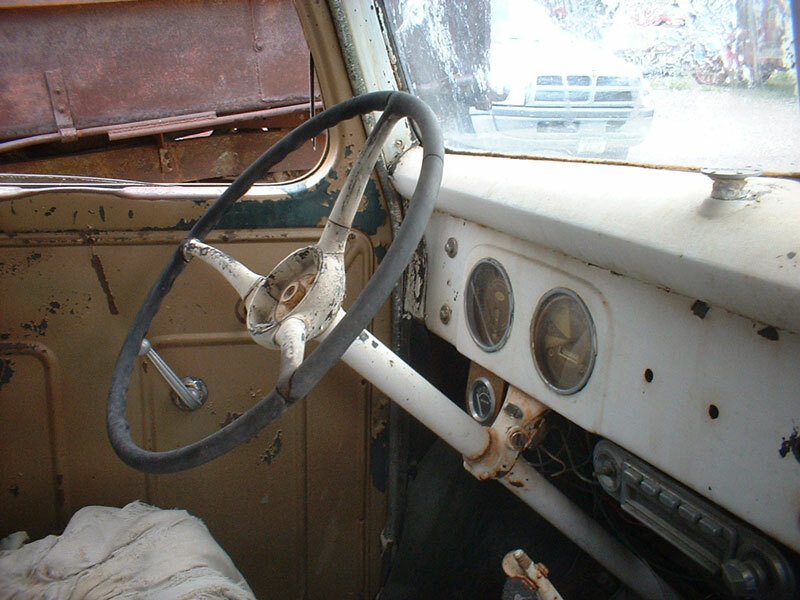 The dash and gauges are all there except the glove box door is missing. There are a couple drill holes in the dash. There is a non-stock under dash radio and gauge. The seat core is all there. The odometer reads 49,999 and it has likely turned over. 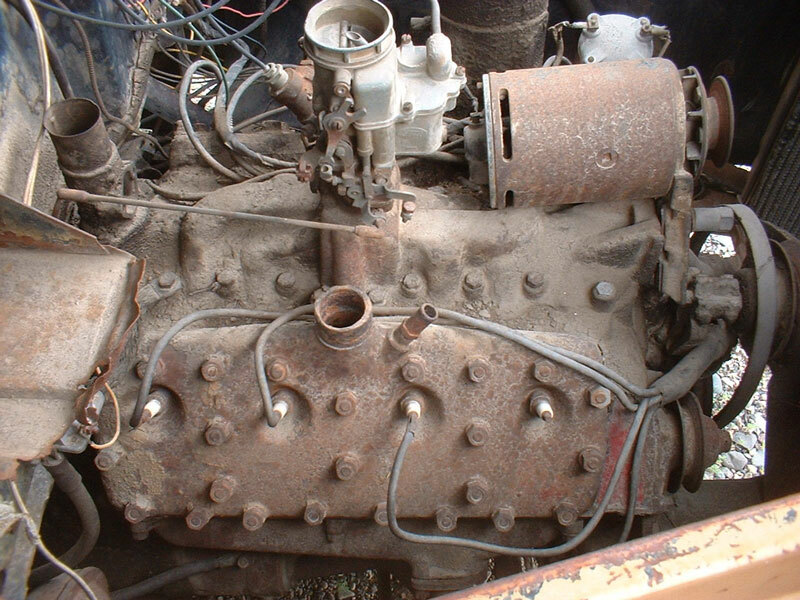 The 221 CID L-head 85 HP V-8 motor and four speed manual floor shift transmission are all there. The motor is stuck. 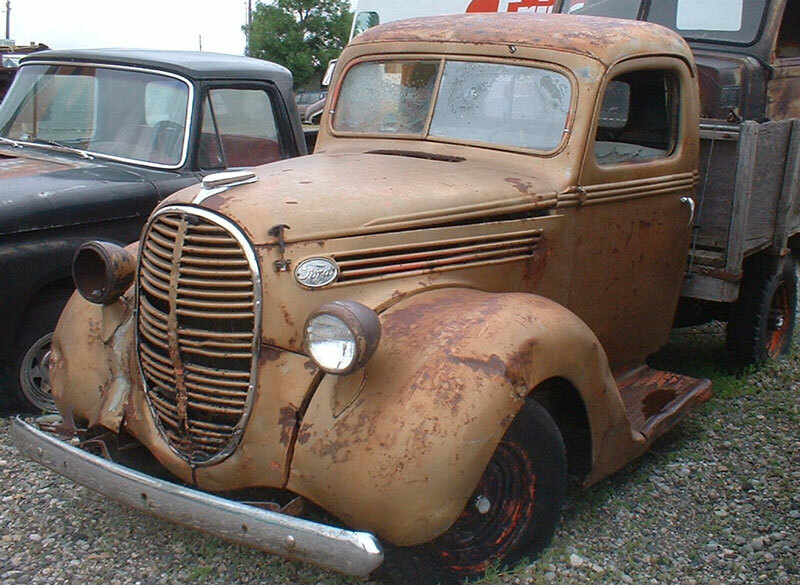 Don't miss this chance to restore or build a 39 Ford truck. Please call (406) 318-0270 for details about this restorable classic 39 Ford project truck. For sale $4,000.